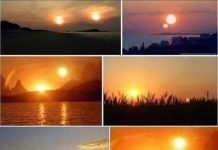 Nobody knows what has happened near Buenos Aires yet! 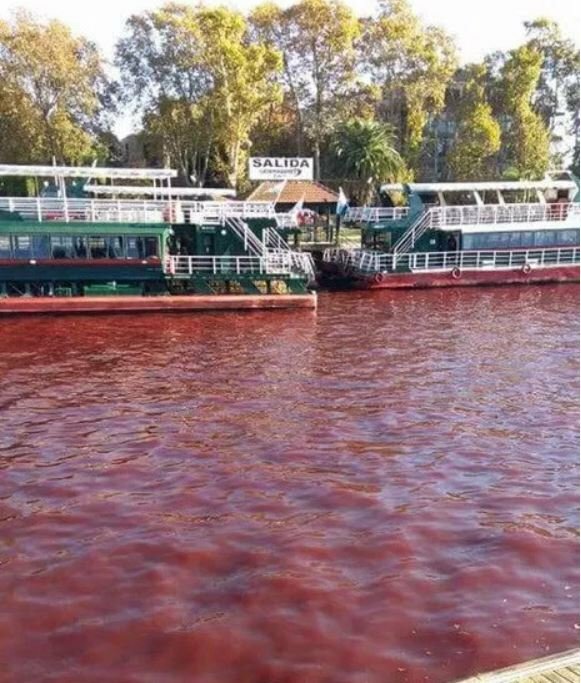 But baffled officials are investigating why the first section of the Parana River Delta turned blood red overnight in Tigre, Argentina Saturday morning. Residents have been asked to stay away from the waters until analyses have been run. 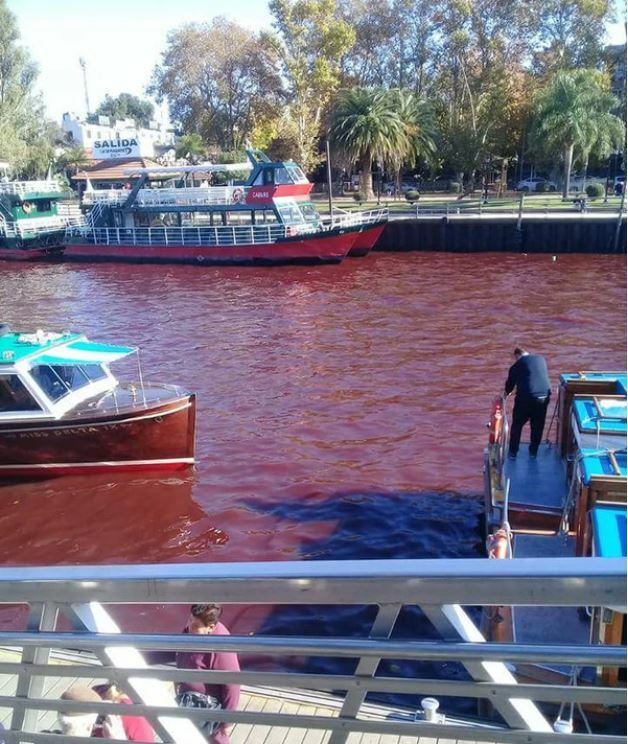 The first section of the Parana River Delta in Tigre turned blood red just a few km away from Buenos Aires in Argentina. 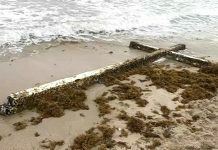 Baffled officials first suspected an algae invasion. 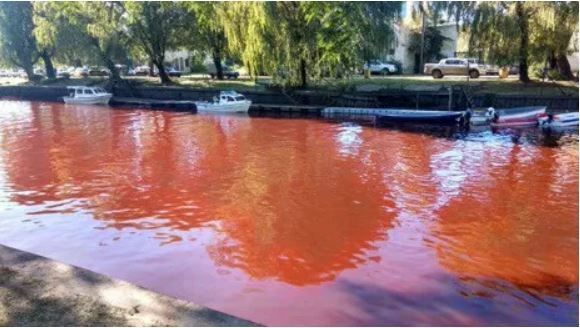 First biologists suggested that the red color was due to an algae bloom, but this hypothesis has been rejected after no such organisms were found in the water samples. 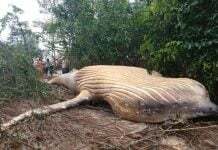 Now investigators suspect the red color is due to illegal waste dumping. Residents have been advised not to touch the water until final results are available. 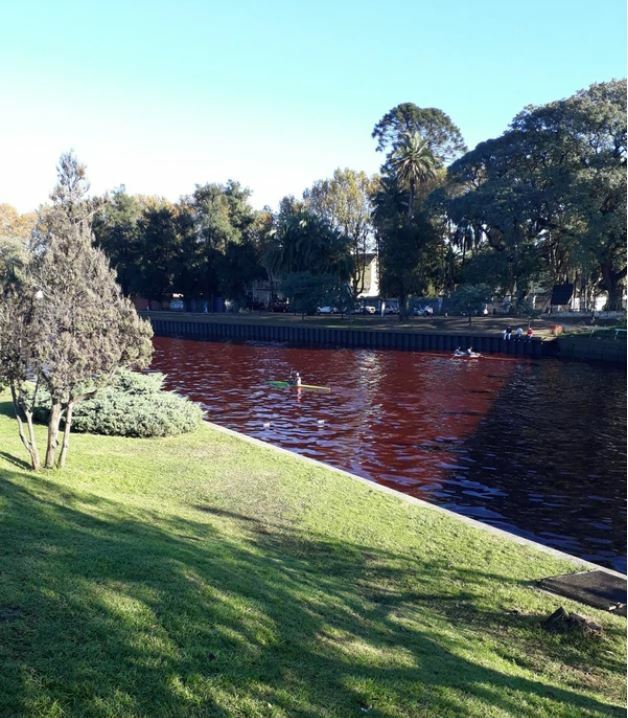 But some people braver than others kayak on the red water in Tigre, Argentina. 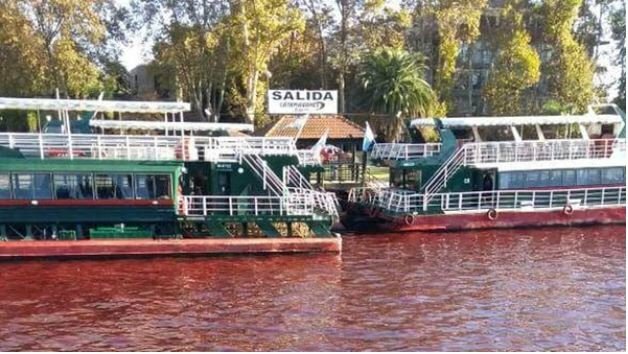 Now, officials suspect a clandestine dumping of industrial waste upstream in the area of ​​Don Torcuato and recommended inhabitants to stay away from the water until authorities have the final results of the sampled water. This will take approximately 48 hours. At least 4,645 people died after Hurricane Maria hit Puerto Rico, claims Harvard report despite the government putting the official death toll at just 64. Devastation caused by Hurricane Maria in Puerto Rico last September saw 4,645 people die, despite the official government death toll standing at just 64. May 23–WASHINGTON — Two pilots ejected safely from their Air Force training jet Wednesday morning before it crashed in a remote area of northeastern Mississippi, service officials said. Officials say two people on board the single-engine plane died when the plane crashed into a roadway near Petaluma Municipal Airport. What were they cooking in the kitchen? Human meat? London’s Stansted airport has delayed, diverted and cancelled some flights after a lightning strike on an aircraft fuelling system during storms that unleashed more than 64,000 thunderbolts. The amusement park where many children have been abducted was engulfed by huge fire in Germany. Top Secret? They Don’t Want You To Know! Dr. Greer Speaks 2018! The number of death of famous people are dramatically increasing! Just compare Wikipedia Deaths in 2018 and Deaths in 1980. In 2018, let’s say this month, 15~20 famous people (more likely reptilians) are dying every day. But in 1980, only less than 1 person a day. Many reptilians cannot adopt the higher vibration on the Earth, and forced to move out of the Earth.